There is no limits when creating that perfect mane of hair and the hair of your dreams with hair extensions. 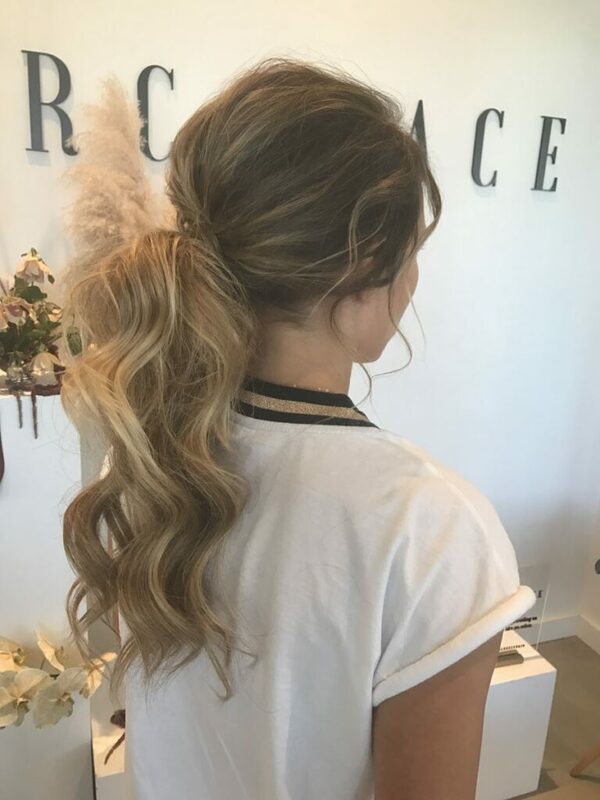 Nicole Arcorace is renowned in Perth for her intensive knowledge and experience with all Extension Hair and Hair Extension Systems. With more than 10 years of in-salon involvement, Nicole is your foremost go to specialist for any type of Hair Extensions. As the creative director of the studio, Nicole Arcorace does not limit herself when it comes to Hair Extension. Stocking the most revolutionary advanced and versatile methods of Hair Extensions. Her exposure to numerous different types of Hair Extensions systems has perfected her skills as a Hair Extension Specialist. 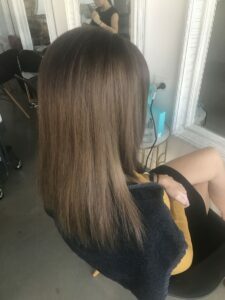 With her expertise she has made it her number one priority to provide all extension clientele with the correct extension service and to create their unique and personalized style with the extra hair. With the micro tapes for fine hair, the super thin extension is designed with a flowered edge so as to reduce tension on the client’s hair and providing length and fullness in the most gentle manner possible. This flowered edge allows for the hair to wash and breathe better and is suitable for both a full head of extensions or for side additions where the hair is finest or bleach damaged. Amazing Hair ULTRA is a revolutionary new premium grade luxury tape-in hair extension collection. 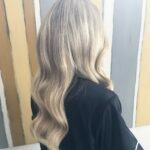 Created with advanced cutting edge Integra-Tape & Mystique – Tape technology, each hand-tied transparent skin weft is designed to mimic the way in which the hair grows naturally from the scalp, making Amazing Hair ULTRA LUXURY Tape-Extensions almost weightless and virtually invisible from every angle. 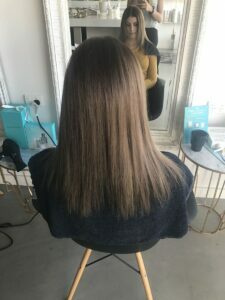 Never before has a hair extensions brand created such a superior product so ULTRA thin and ULTRA flat, that the client doesn’t even feel the extensions in their hair. Suitable for straight or wavy hair, and also curly hair if the client is happy to straighten her curls.The lifespan of the extensions is 1 year (with re-application every 6 weeks) with correct application and proper care. The Blakk luxurious extensions are made from brazilian, remy hair that is DOUBLE DRAWN. 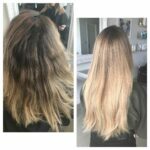 This means that 80% of our hair extensions are to the full length making you extensions thick and full, all the way to the ends. No wispy hair that requires inches to be cut off! And being remy hair, this ensures they stay smooth and tangle free. 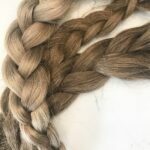 Available in ten different shades, we are able to personalise colour selection to many different colour combinations to to ensure perfect colour matching to your natural hair. With lengths of eighteen inches up to the extra long twenty two inches, we can ensure you will have long flowing locks in no time. Our versatile Blakk wefts are 75cm wide and come in our most popular length, 18inches. Our weft extensions are 25g thicker than our tape extensions with a total hair weight of 125g! Amore Hair is one of the much more gentle re-useable patented systems to use on your hair, where a link of your new Amore Hair is attached to a lock of your hair. There is no glue and no damage to existing hair. They are one of the most natural systems, using Premium / European and Remy Human Hair, these hair extensions are virtually undetectable. With a wide range of thickness, lengths and colours to choose from, Amore Hair Extensions makes your choice in that extra fullness limitless. Finer heads of hair generally require around 75-100 AmoreHair Extensions. Average density heads require approximately 100-150 and heavier density hair 150 or more. Each extension takes under one minute to attach. This system is designed for the most fine and fragile hair types too. With there Demi range being half the size of the standard Amore Hair, giving you confidence that no damage will occur during your extension experience. We recommend maximum 75 extension links for our clients with this hair type. With many years of experience with different types of hair, we have no doubt found the Virgin Slavic / Russian Hair to be the best. Unlike most quality of hair in most hair extensions, this Virgin Hair is the purest of quality and can be custom made with each order. 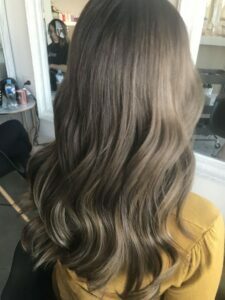 The company we source this type of hair from one of the most reliable companies world-wide, collecting hair from populations in Russia and Siberian regions. 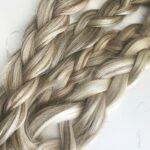 They manufacture and distribute their custom made weft to each order with genuine virgin double drawn hair in its purest of state. That means it has never been chemically processed or coloured. 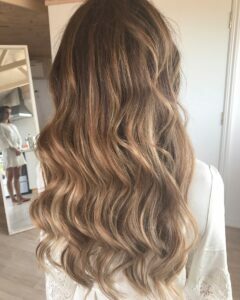 The natural virgin colour are subject to variation, since the hair is in its natural state it can be easily highlighted or coloured professionally. This hair being the best does come with an expensive price tag. 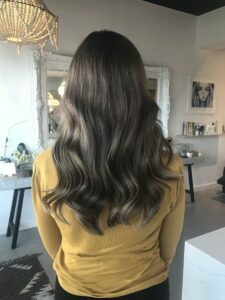 For those extension clients who want to endulge in the luxurious silky hair, we now offer a 6 month payment plan those wanting the Virgin / Slavic Russian Hair.